My choreography is a physical response to the world around us, and our place in it. I believe that dance itself can be a radical action, a rebellion and celebration. What about those things you feel, things that cannot be explained, or take your breath away? It is important to me that the capacity of dance to transmit the mysterious is recognized and felt. Moving between structure and chaos, sparseness and lushness, I create dance works both intimate and epic. I look for where the broad picture and small details come together and build in significance. I’m interested in energetic shifts within the body and outwardly—how dancing presence relates to, and has the potential to transform, the energy of a place, an object, a viewer. I enjoy exposing where things might fall apart, dismantling heroic activity and expectations of virtuosity, while being a figure of heroic endeavor. Meg Wolfe is a choreographer, performer, curator, producer, and dance instigator. Her creative process also spans objects and DIY installation, collage, video, writing, and the alter-ego character “Shannon”. She is the founder and director of Show Box L.A.; and in 2016, she opened the studio, we live in space. in the Jefferson Park neighborhood of Los Angeles. As a choreographer, her full-evening work, New Faithful Disco (2016) was a National Performance Network (NPN) Creation Fund and Forth Fund Project co-commissioned by REDCAT, Portland Institute for Contemporary Art (PICA), DiverseWorks, Z Space, and NPN. It was noted in Artforum’s Best of 2016 – The Year in Performance. 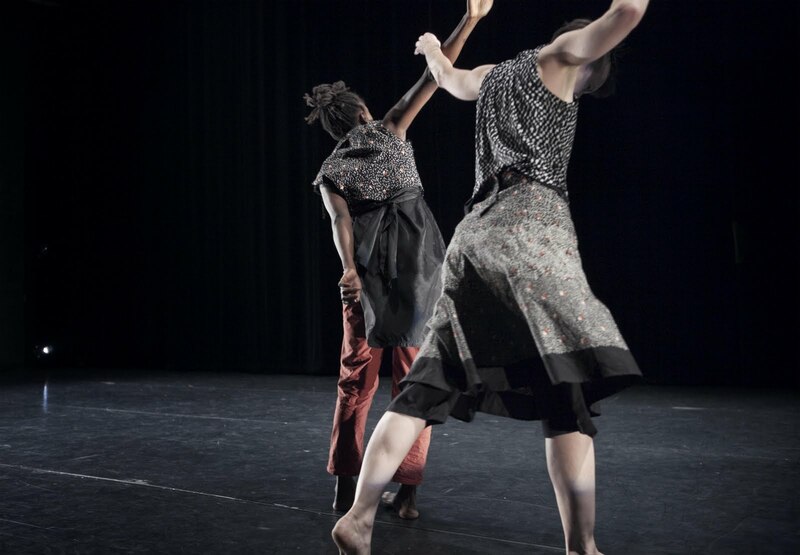 The creation of NFD was supported through development and technical residencies at REDCAT; Performance Works NorthWest Alembic Residency; UCLA World Arts & Culture/Dance Hothouse Residency; Show Box LA with support from the City of Los Angeles Department of Cultural Affairs and the National Endowment for the Arts; and a Foundation for Contemporary Arts Emergency Grant. Wolfe’s first curatorial project in Los Angeles was the roving low-tech performance series, Anatomy Riot (2005-2012). With limited dance-­specific venues in L.A., Anatomy Riot became a meeting place for artists to share their explorations and a destination for audiences seeking innovative work. Started in the back room of a sushi bar, Anatomy Riot grew and moved around town to theaters, lofts, warehouses and ballrooms, and presented the work of over 250 local and visiting artists. Wolfe was also co-founder & co-editor of itch dance journal (2006-2013); and organized Dancebank, a series of collectively-run classes and workshops (2007-2011). In 2016, seeking a home base for making her own work, Wolfe opened the storefront studio, we live in space. The studio serves as rehearsal space and creative hub for a diverse community of local and visiting artists.